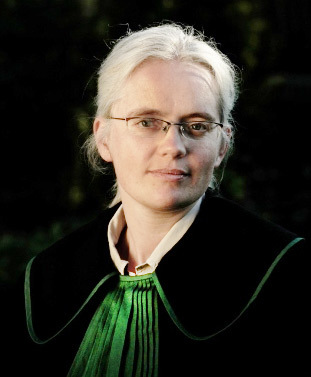 Ms Józefowicz – Paszewska graduated from the Faculty of Law and Administration at Warsaw University, as well as the Centre for the Study of English and European Law. She began to gain her experience while studying law at the Wardyński and Partners Law Office, then working as a lawyer in Maciej Lach Law Office, specializing in succession and family law. She started her own office in 2009. She performs the duties of ‘patron’ during the training of future attorneys in Okręgowa Rada Adwokacka in Warsaw, and conducts training regarding incapacitation cases i.a. for the schools for children with special needs. She is fluent in English and works in French as well. She specializes in civil law, including personal interests protection, remedies and recompenses or succession law. Her particular interests cover family law cases (divorce or separation case, child custody or parental authority cases etc). The law office provides legal services for the housing cooperatives (spółdzielnie mieszkaniowe) as well as residential communities (wspólnoty mieszkaniowe). Ms Józefowicz – Paszewska has been inscribed in the lists of lawyers, who are recommended by the US Embassy as well as the Australian and New Zealand Embassies for their citizens. In the period 2005 – 2007 she started co-operation with several law offices in Chicago, as well volunteering for the Amicus Poloniae Legal Clinic, earning the Distinguished Service Award 2006 granted by Chicago Volunteer Legal Services Foundation. Ms Siemińska graduated from the Faculty of Law and Administration at Warsaw University and studied at the Faculty of Applied Social Sciences and Rehabilitation. She is currently an attorney trainee at the Okręgowa Rada Adwokacka in Warsaw. She worked as a lawyer for the Childbirth with Dignity Foundation, the Ministry of Justice and one of the Warsaw courts. She is a passionate traveller, and fascinated by the culture of South – East Asia.